You have got to watch this 2 minute video with your children which shows a child’s experiment with 3 very different sweet potatoes. One sweet potato was conventionally grown. One sweet potato was organic from the supermarket. 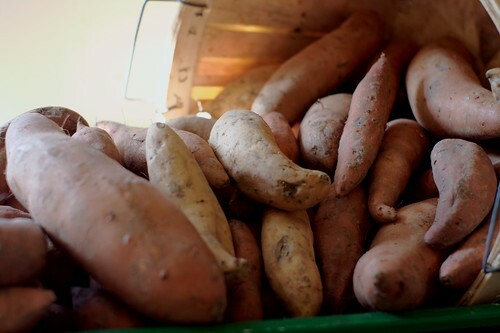 One sweet potato was organic from a local market. If your child is hearing from friends at school that “organic doesn’t matter” or some foolish talk of this nature, this video will quickly show that organic but also LOCAL is the way to go when it comes to produce! Our children are getting it! I am so encouraged when I see bright, inquisitive children like this showing the whole world how the simple choice of what you put in your mouth can quite literally determine the course of your entire life.